port on the Zuckerman Inventory of Personal Reactions). .... Meanwhile, according to Ulrich et al. ... ZIPERS (Zuckerman, 1977) was adapted from previous. cases affect has not improved until 15 to 30 minutes post-exercise (Steptoe et al., 1993; ..... Steptoe et al. (1993) suggested ...... The curse of inactivity - Failure. Young Adolescent Boys and Girls .... Twenty-two healthy young adolescents (11 boys and 11 girls; mean age 13.3 Â± .33 years) ..... Hardy, C.J., and W.J. Rejeski. Winter 2010, Volume 3, Issue 4 .... immersive Virtual Reality (VR) and 3-D video, researchers ..... CryEngine 2 software developer's kit, the Crysis level cre-. study addressed the impact of daily stressors and a history of major depressive disorder (MDD) on inflammatory ..... Kiecolt-Glaser JK, Derry HM, Fagundes CP. The Impact of Perceived Performance .... ferential performance feedback on a graded exercise. test. ..... Results indicated that both high and low perl'ornntnce. Sep 22, 2016 - as well as at a neural level (Janssens, Verleden, De Peuter, Van. Diest, & Van den ... positive potential (LPP), for emotional pictures were demonstrated ...... manual. Technical Report A-8. University of Florida, Gainsville, FL. recommended 12 different types of distinct affective responses to measure advertising .... reported that mass-oriented media are the focus for larger wineries while ... winery sending direct mail (follow-up postcards) to tasting room visitors. Aug 25, 2009 - Isle of Arran. Brown trout. Eliburn. Near Edinburgh. Pike, perch. Greenan. Isle of Bute. Machrie. Isle of Arran. Mealt. Isle of Skye. Arctic charr. modeling (HLM) techniques to elucidate the independent and joint effects that dysfunctional attitudes, BDNF genotype, and daily life stress have on daily fluctuations in negative affect. This paradigm enabled us to examine for the first time diathesis-stress predictions within the context of an expanded cognitive vulnerability framework that incorporates a genetic factor that has been shown to predict affective, biological, and clinical responses to stress. Given evidence showing that blunted positive emotional responses to stress are associated with increased risk for affective disorders such as depression (e.g., Mineka et al. 1998; Watson and Naragon-Gainey 2010), we also examined the independent and joint effects that dysfunctional attitudes, BDNF genotype, and life stress have on daily fluctuations in positive affect. Based on findings from between-subjects research linking attitudinal biases with clinical depression (Alloy et al. 2006; Brown et al. 1995; Gibb et al. 2001; Monroe et al. 2007), and the only other daily process study that has examined dysfunctional attitudes (i.e., Hankin 2010), we hypothesized that greater levels of dysfunctional attitudes would potentiate negative affective responses to daily stressors. Regarding BDNF genotype, consistent with prior laboratory-based studies linking BDNF variation with differential psychological and biological reactivity to emotional stimuli (e.g., Gatt et al. 2009; Wang et al. 2012), we predicted that Met allele carriers would report higher levels of negative affect on stressful days compared to their Val/ Val counterparts. Although dysfunctional attitudes and the Val66Met polymorphism have not been investigated in direct relation to positive affect, both of these risk markers—either in isolation, or jointly with life stress—have been previously associated with depression, a hallmark feature of which is anhedonia. Therefore, we also predicted that more extreme dysfunctional attitudes and Met allele status would be associated with diminished positive affect on high stress days. Finally, to delineate the boundaries of attitudinal influences on daily negative and positive affect, we compared the effects of dysfunctional attitudes on affective responses to daily stressors with the effects attributable to trait levels of internalizing and externalizing symptoms. As discussed earlier, cognitive biases, including dysfunctional attitudes, are sometimes conceptualized as facets of an overarching internalizing spectrum, as opposed to independent vulnerability factors (e.g., Costa and McCrae 1992), and studies have found that the depressogenic effects of dysfunctional attitudes may be accounted for by co-occurring processes such as subclinical depression and personality pathology (e.g., Ilardi et al. 1997; Otto et al. 2007). We therefore examined the effects dysfunctional attitudes have on stressaffect relations while statistically adjusting for baseline levels of internalizing and externalizing symptomatology. We hypothesized that internalizing symptoms would potentiate the effects of daily stress on negative and positive affect due to the close correspondence of internalizing pathology and trait neuroticism, which is known to predict exaggerated affective responses to minor stress (Lahey 2009). If cognitive effects were found to be robust while controlling for internalizing and externalizing features, this would suggest that dysfunctional attitudes operate as a unique risk factor independent of clinical symptomatology. when participants who missed more than 3 surveys were omitted from analyses. Therefore, the results presented below reflect analyses involving the entire sample. SE = 0.19, p \ .01). The nature of this BDNF Genotype 9 Stress Exposure interaction in the prediction of daily negative affect is illustrated in Fig. 1. Caucasian versus Latino ethnic groups (which collectively made up approximately 93 % of our sample) for either negative affect (b = -0.79, SE = 0.52, p = .13) or positive affect (b = -0.78, SE = 0.53, p = .15). Secondary Analyses Given the strong correlation between dysfunctional attitudes and internalizing symptoms (r = .62) reported above, we conducted secondary analyses to examine the effects of dysfunctional attitudes on affective reactivity to daily stress without adjusting for concurrent clinical symptomatology. This analysis revealed that, when only dysfunctional attitudes, BDNF genotype, and gender were entered as between-subjects predictors, dysfunctional attitudes were positively associated with average levels of negative affect over the 14-day study period (equivalent to Table 3, row b05; b = 1.10, SE = 0.25, p \ .001), but they did not moderate the association between daily stress exposure and negative affect (b = 0.06, SE = 0.11, p = .57). In contrast, dysfunctional attitudes were unrelated to average levels or stress-related changes in positive affect (b = -0.48, SE = 0.35, p = .17 and b = -0.01, SE = 0.10, p = .95, respectively). The full results from these reduced models are available upon request. 375 and a Society in Science–Branco Weiss Fellowship to George M. Slavich. Conflict of Interest Christopher C. Conway, George M. Slavich, and Constance Hammen declare that they have no conflict of interest. Informed Consent All procedures followed were in accordance with the ethical standards of the responsible committee on human experimentation (institutional and national) and with the Helsinki Declaration of 1975, as revised in 2000. Informed consent was obtained from all patients before their inclusion in the study. Animal Rights No animal studies were carried out by the authors for the purposes of this article. Did not have enough money to do something or buy something. Lost money or something important. Property was damaged or stolen. Was sick or had a medical issue. Did poorly on, or failed, an important exam or major project. Failed to achieve an important school related goal that does not involve GPA. Problems at work (e.g., didn’t get the schedule that you requested, couldn’t find someone to fill in for you). Problems with co-workers or boss (if different from above). An event that happened today related to a family member or close friend having a medical or emotional problem. Had an argument/problem with significant other. Had an argument/problem with a friend. Had an argument/problem with family member. Had an argument/problem with a professor, or project group. Fight or argument among social group to which you belong. Was rejected or excluded by others (group, significant other, friend, etc.). Was criticized by others (project group, significant other, friend, professor, etc.). References Abramson, L. Y., Metalsky, G. I., & Alloy, L. B. (1989). Hopelessness depression: A theory based subtype of depression. Psychological Review, 96, 358–372. Achenbach, T. M. (1997). Manual for the young adult self-report and young adult behavior checklist. Burlington: University of Vermont Department of Psychiatry. 376 Aguilera, M., Arias, B., Wichers, M., Barrantes-Vidal, N., Moya, J., Villa, H., & Fan˜ana´s, L. (2009). Early adversity and 5-HTT/ BDNF genes: New evidence of gene–environment interactions on depressive symptoms in a general population. Psychological Medicine, 39, 1425–1432. 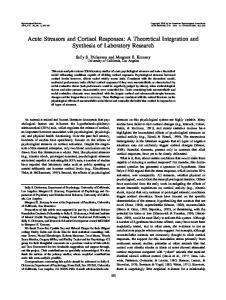 Alloy, L. B., Abramson, L. Y., Whitehouse, W. G., Hogan, M. E., Panzarella, C., & Rose, D. T. (2006). Prospective incidence of first onsets and recurrences of depression in individuals at high and low cognitive risk for depression. Journal of Abnormal Psychology, 115, 145–156. Angelucci, F., Brene, S., & Mathe, A. A. (2005). BDNF in schizophrenia, depression and corresponding animal models. Molecular Psychiatry, 10, 345–352. Beck, A. T. (1967). Depression: Clinical, experimental, and theoretical aspects. New York: Harper and Row. Beck, A. T. (1983). Cognitive therapy of depression: New perspectives. In P. J. Clayton & J. E. Barrett (Eds. ), Treatment of depression: Old controversies and new approaches (pp. 265–290). New York: Raven Press. Beevers, C. G., Gibb, B. E., McGeary, J. E., & Miller, I. W. (2007). Serotonin transporter genetic variation and biased attention for emotional word stimuli among psychiatric inpatients. Journal of Abnormal Psychology, 116, 208–212. Belsky, J., & Pluess, M. (2013). Beyond risk, resilience and dysregulation: Phenytopic plasticity and human development. Development and Psychopathology, 25, 1243–1261. Bresin, K., Sima Finy, M., & Verona, E. (2013). Childhood emotional environment and self injurious behaviors: The moderating role of the BDNF Val66Met polymorphism. Journal of Affective Disorders, 150, 594–600. Brown, G. W., Craig, T. K., Harris, T. O., Herbert, J., Hodgson, K., Tansey, K. E., & Uher, R. (2014). Functional polymorphism in the brain-derived neurotrophic factor gene interacts with stressful life events but not childhood maltreatment in the etiology of depression. Depression and Anxiety, 31, 326–334. Brown, G. P., Hammen, C. L., Craske, M. G., & Wickens, T. D. (1995). Dimensions of dysfunctional attitudes as vulnerabilities to depressive symptoms. Journal of Abnormal Psychology, 104, 431–435. Caspi, A., Hariri, A. R., Holmes, A., Uher, R., & Moffitt, T. E. (2010). Genetic sensitivity to the environment: The case of the serotonin transporter gene and its implications for studying complex diseases and traits. American Journal of Psychiatry, 167, 509–527. Caspi, A., & Moffitt, T. E. (2006). Gene–environment interactions in psychiatry: Joining forces with neuroscience. Nature Reviews Neuroscience, 7, 583–590. Clark, D. A., Beck, A. T., & Alford, B. A. (1999). Scientific foundations of cognitive theory and therapy of depression. New York, NY: Wiley. Clark, L. A., Watson, D., & Mineka, S. (1994). Temperament, personality, and the mood and anxiety disorders. Journal of Abnormal Psychology, 103, 103–116. Clasen, P. C., Wells, T. T., Knopik, V. S., McGeary, J. E., & Beevers, C. G. (2011). 5-HTTLPR and BDNF Val66Met polymorphisms moderate effects of stress on rumination. Genes, Brain and Behavior, 10, 740–746. Costa, P. T, Jr., & McCrae, R. R. (1992). Four ways five factors are basic. Personality and Individual Differences, 13, 653–665. Devlin, B., Roeder, K., & Wasserman, L. (2001). Genomic control, a new approach to genetic-based association studies. Theoretical Population Biology, 60, 155–166. Dobson, K. S., & Breiter, H. J. (1983). Cognitive assessment of depression: Reliability and validity of three measures. Journal of Abnormal Psychology, 92, 107–109. Duman, R. S., & Monteggia, L. M. (2006). A neurotrophic model for stress-related mood disorders. Biological Psychiatry, 59, 1116–1127. Cogn Ther Res (2015) 39:366–377 Duncan, L. E., & Keller, M. C. (2011). A critical review of the first 10 years of candidate gene-by-environment interaction research in psychiatry. American Journal of Psychiatry, 168, 1041–1049. Eaves, G., & Rush, A. J. (1984). Cognitive patterns in symptomatic and remitted unipolar major depression. Journal of Abnormal Psychology, 93, 31–40. Eysenck, H. J., & Eysenck, S. B. G. (1975). Manual of the Eysenck Personality Questionnaire (adult and junior). London: Hodder & Stoughton. Gatt, J. M., Nemeroff, C. B., Dobson-Stone, C., Paul, R. H., Bryant, R. A., Schofield, P. R., & Williams, L. M. (2009). Interactions between BDNF Val66Met polymorphism and early life stress predict brain and arousal pathways to syndromal depression and anxiety. Molecular Psychiatry, 14, 681–695. Gibb, B. E., Alloy, L. B., Abramson, L. Y., Rose, D. T., Whitehouse, W. G., Donovan, P., & Tierney, S. (2001). History of childhood maltreatment, negative cognitive styles, and episodes of depression in adulthood. Cognitive Therapy and Research, 25, 425–446. Gibb, B. E., Beevers, C. G., & McGeary, J. E. (2013). Toward an integration of cognitive and genetic models of risk for depression. Cognition and Emotion, 27, 193–216. Haeffel, G. J., Eastman, M., & Grigorenko, E. L. (2012). Using a cognitive endophenotype to identify risk genes for depression. Neuroscience Letters, 510, 10–13. Hankin, B. L. (2010). Personality and depressive symptoms: Stress generation and cognitive vulnerabilities to depression in a prospective daily diary study. Journal of Social and Clinical Psychology, 29, 369–401. Hankin, B. L., & Abramson, L. Y. (2001). Development of gender differences in depression: An elaborated cognitive vulnerabilitytransactional stress theory. Psychological Bulletin, 127, 773–796. Hankin, B. L., Fraley, R. C., & Abela, J. R. (2005). Daily depression and cognitions about stress: Evidence for a traitlike depressogenic cognitive style and the prediction of depressive symptoms in a prospective daily diary study. Journal of Personality and Social Psychology, 88, 673–685. Hart, A. B., Craighead, W. E., & Craighead, L. W. (2001). Predicting recurrence of major depressive disorder in young adults: A prospective study. Journal of Abnormal Psychology, 110, 633–643. Hosang, G. M., Shiles, C., Tansey, K. E., McGuffin, P., & Uher, R. (2014). Interaction between stress and the BDNF Val66Met polymorphism in depression: A systematic review and metaanalysis. BMC Medicine, 12, 7. Ilardi, S. S., & Craighead, W. E. (1999). The relationship between personality pathology and dysfunctional cognitions in previously depressed adults. Journal of Abnormal Psychology, 108, 51–57. Ilardi, S. S., Craighead, W. E., & Evans, D. D. (1997). Modeling relapse in unipolar depression: The effects of dysfunctional cognitions and personality disorders. Journal of Consulting and Clinical Psychology, 65, 381–391. Ingram, R. E., Miranda, J., & Segal, Z. V. (1998). Cognitive vulnerability to depression. New York: Guilford Press. Karg, K., Burmeister, M., Shedden, K., & Sen, S. (2011). The serotonin transporter promoter variant (5-HTTLPR), stress, and depression meta-analysis revisited: Evidence of genetic moderation. Archives of General Psychiatry, 68, 444–454. Kendler, K. (2008). Explanatory models for psychiatric illness. American Journal of Psychiatry, 165, 695–702. Kercher, K. (1992). Assessing subjective well-being in the old-old: The PANAS as a measure of orthogonal dimensions of positive and negative affect. Research on Aging, 14, 131–168. Krueger, R. F. (1999). The structure of common mental disorders. Archives of General Psychiatry, 56, 921–926. Cogn Ther Res (2015) 39:366–377 Lahey, B. B. (2009). Public health significance of neuroticism. American Psychologist, 64, 241–256. Lau, J. Y., Goldman, D., Buzas, B., Hodgkinson, C., Leibenluft, E., Nelson, E., & Ernst, M. (2010). BDNF gene polymorphism (Val66Met) predicts amygdala and anterior hippocampus responses to emotional faces in anxious and depressed adolescents. Neuroimage, 53, 952–961. Lewinsohn, P. M., Joiner, T. E, Jr., & Rohde, P. (2001). Evaluation of cognitive diathesis-stress models in predicting major depressive disorder in adolescents. Journal of Abnormal Psychology, 110, 203–215. Mackinnon, A., Jorm, A. F., Christensen, H., Korten, A. E., Jacomb, P. A., & Rodgers, B. (1999). A short form of the positive and negative affect schedule: Evaluation of factorial validity and invariance across demographic variables in a community sample. Personality and Individual Differences, 27, 405–416. Mineka, S., Watson, D., & Clark, L. A. (1998). Comorbidity of anxiety and unipolar mood disorders. Annual Review of Psychology, 49, 377–412. Moffitt, T. E., Caspi, A., & Rutter, M. (2005). Strategy for investigating interactions between measured genes and measured environments. Archives of General Psychiatry, 62, 473–481. Monroe, S. M., & Reid, M. W. (2008). Gene–environment interactions in depression: Genetic polymorphisms and life stress polyprocedures. Psychological Science, 19, 947–956. Monroe, S. M., Slavich, G. M., Torres, L. D., & Gotlib, I. H. (2007). Severe life events predict specific patterns of change in cognitive biases in major depression. Psychological Medicine, 37, 863–871. Montag, C., Reuter, M., Newport, B., Elger, C., & Weber, B. (2008). The BDNF Val66Met polymorphism affects amygdala activity in response to emotional stimuli: Evidence from a genetic imaging study. Neuroimage, 42, 1554–1559. Mukherjee, P., Whalley, H. C., McKirdy, J. W., McIntosh, A. M., Johnstone, E. C., Lawrie, S. M., & Hall, J. (2011). Effects of the BDNF Val66Met polymorphism on neural response to facial emotion. Psychiatry Research: Neuroimaging, 191, 182–188. Munafo´, M. R., Durrant, C., Lewis, G., & Flint, J. (2009). Gene 9 environment interactions at the serotonin transporter locus. Biological Psychiatry, 65, 211–219. Otto, M. W., Teachman, B. A., Cohen, L. S., Soares, C. N., Vitonis, A. F., & Harlow, B. L. (2007). Dysfunctional attitudes and episodes of major depression: Predictive validity and temporal stability in never-depressed, depressed, and recovered women. Journal of Abnormal Psychology, 116, 475–483. Pedhazur, E. J. (1982). Multiple regression in behavioral research: Explanation and predication (2nd ed.). Fort Worth, TX: Harcourt Brace College Publishers. Perea, C. S., Paternina, A. C., Gomez, Y., & Lattig, M. C. (2012). 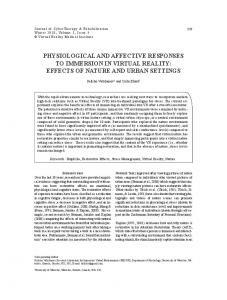 Negative affectivity moderated by BDNF and stress response. Journal of Affective Disorders, 136, 767–774. Perroud, N., Courtet, P., Vincze, I., Jaussent, I., Jollant, F., Bellivier, F., & Malafosse, A. (2008). Interaction between BDNF Val66Met and childhood trauma on adult’s violent suicide attempt. Genes, Brain and Behavior, 7, 314–322. Risch, N., Herrell, R., Lehner, T., Liang, K.-Y., Eaves, L., Hoh, J., & Merikangas, K. R. (2009). Interaction between the serotonin transporter gene (5-HTTLPR), stressful life events, and risk of depression. Journal of the American Medical Association, 301, 2462–2471. Roisman, G. I., Newman, D. A., Fraley, R. C., Haltigan, J. D., Groh, A. M., & Haydon, K. C. (2012). Distinguishing differential susceptibility from diathesis-stress: Recommendations for evaluating interaction effects. Development and Psychopathology, 24, 389–409. 377 Sahl, J. C., Cohen, L. H., & Dasch, K. B. (2009). Hostility, interpersonal competence, and daily dependent stress: A daily model of stress generation. Cognitive Therapy and Research, 33, 199–210. Scheier, M. F., Carver, C. S., & Bridges, M. W. (1994). Distinguishing optimism from neuroticism (and trait anxiety, self-mastery, and self-esteem): A reevaluation of the Life Orientation Test. Journal of Personality and Social Psychology, 67, 1063–1078. Schofield, P. R., Williams, L. M., Paul, R. H., Gatt, J. M., Brown, K., Luty, A., & Gordon, E. (2009). Disturbances in selective information processing associated with the BDNF Val66Met polymorphism: Evidence from cognition, the P300 and frontohippocampal systems. Biological Psychology, 80, 176–188. Seidlitz, L., & Diener, E. (1993). Memory for positive versus negative life events: Theories for the differences between happy and unhappy persons. Journal of Personality and Social Psychology, 64, 654–663. Shahar, G., Henrich, C. C., Reiner, I. C., & Little, T. D. (2003). Development and initial validation of the brief adolescent life event scale (BALES). Anxiety, Stress & Coping, 16, 119–128. Slavich, G. M., & Cole, S. W. (2013). The emerging field of human social genomics. Clinical Psychological Science, 1, 331–348. Slavich, G. M., & Irwin, M. R. (2014). From stress to inflammation and major depressive disorder: A social signal transduction theory of depression. Psychological Bulletin, 140, 774–815. Slavich, G. M., O’Donovan, A., Epel, E. S., & Kemeny, M. E. (2010). Black sheep get the blues: A psychobiological model of social rejection and depression. Neuroscience and Biobehavioral Reviews, 35, 39–45. van Oostrom, I., Franke, B., Rijpkema, M., Gerritsen, L., AriasVa´squez, A., Ferna´ndez, G., & Tendolkar, I. (2012). Interaction between BDNF Val66Met and childhood stressful life events is associated to affective memory bias in men but not women. Biological Psychology, 89, 214–219. Wang, L., Ashley-Koch, A., Steffens, D. C., Krishnan, K. R. R., & Taylor, W. D. (2012). Impact of BDNF Val66Met and 5-HTTLPR polymorphism variants on neural substrates related to sadness and executive function. Genes, Brain and Behavior, 11, 352–359. Watson, D., Clark, L. A., & Tellegen, A. (1988). Development and validation of brief measures of positive and negative affect: The PANAS scales. Journal of Personality and Social Psychology, 54, 1063–1070. Watson, D., & Naragon-Gainey, K. (2010). On the specificity of positive emotional dysfunction in psychopathology: Evidence from the mood and anxiety disorders and schizophrenia/schizotypy. Clinical Psychology Review, 30, 839–848. Weissman, A., & Beck, A. T. (1978, November). Development and validation of the Dysfunctional Attitude Scale: A preliminary analysis. Paper presented at the meeting of the American Educational Research Association, Toronto, Ontario, Canada. Wichers, M., Kenis, G., Jacobs, N., Mengelers, R., Derom, C., Vlietinck, R., & van Os, J. (2008). The BDNF Val66Met 9 5HTTLPR 9 child adversity interaction and depressive symptoms: An attempt at replication. 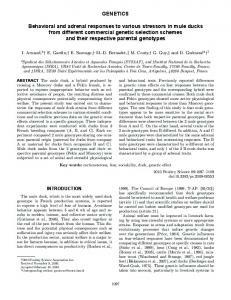 American Journal of Medical Genetics Part B: Neuropsychiatric Genetics, 147, 120–123. 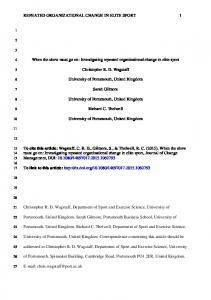 Zinbarg, R. E., Mineka, S., Craske, M., Vrshek-Shallhorn, S., Griffith, J. W., Wolitzky-Taylor, K., …, & Anand, D. (2014). Testing a hierarchical model of neuroticism and its facets: II. Prospective associations with onsets of anxiety disorders and unipolar mood disorders over three years in adolescents. Manuscript submitted for publication. Zuroff, D. C., Blatt, S. J., Sanislow, C. A, I. I. I., Bondi, C. M., & Pilkonis, P. A. (1999). Vulnerability to depression: Reexamining state dependence and relative stability. Journal of Abnormal Psychology, 108, 76–89. 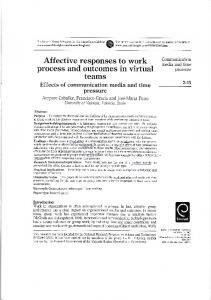 Report "Dysfunctional Attitudes and Affective Responses to Daily Stressors ..."